The road is an open public space that literally anyone can access. It’s mandatory to use if you’re wanting to get from point A to point B which means that you’re probably going to see some interesting characters driving around. The roads are unpredictable and literally, anything can happen. From people drinking in trunks to dogs taking the car for a joyride, you will never be disappointed in the content that comes from the highway. This article has compiled some of the most bizarre sightings that will surely have you scratching your head in confusion. It’s really annoying that people forget stormtroopers are people too. They might have to fight a Jedi off of the Death Star at 3 pm, but at 5 pm they have to pick up the kids from daycare and take them out for a walk in a stroller. It’s a shame that we evaluate people based on their jobs instead of who they are outside of it. 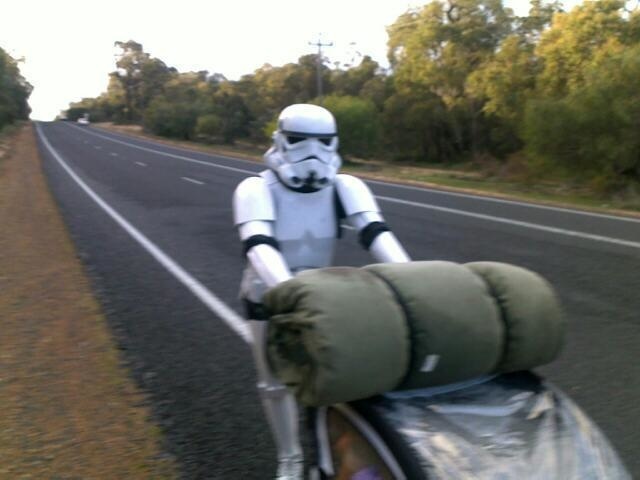 This trooper didn’t even have enough time to get undressed before he had to pick up his little kid. I hope this changes the way that you think about Star Wars the next time you watch it. 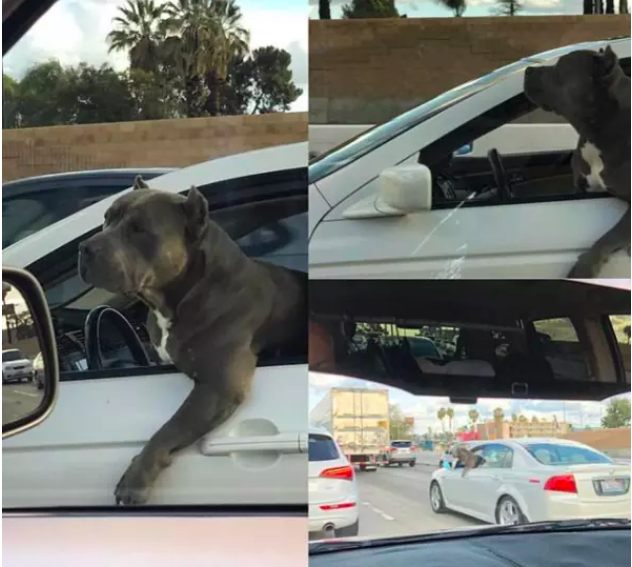 You’re driving on the highway minding your own business and you see a dog driving a car, what do you do? If you were to picture a dog driving a car, you would probably envision some frantic panting or breathing at least, but not this pup. 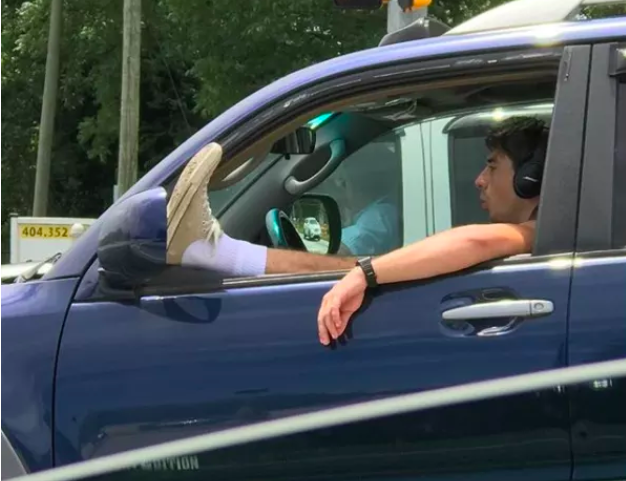 It looks more relaxed than a NASCAR driver going 60 mph in their minivan. At this point, everyone should let the dog drive until it proves that it’s unfit for the task. The world would be a better place if dogs could drive themselves around and there’s no one who can willingly disagree with that. There used to be a big crackdown on drinking and driving, but that’s slowly given way to distracted driving which causes more accidents per year on average. Most people are caught up in their phone, but this guy is throwing it old school and actually reading a novel. Is anyone else even surprised they still make novels? This must’ve been published a few years ago because I’m convinced that they don’t exist anymore. 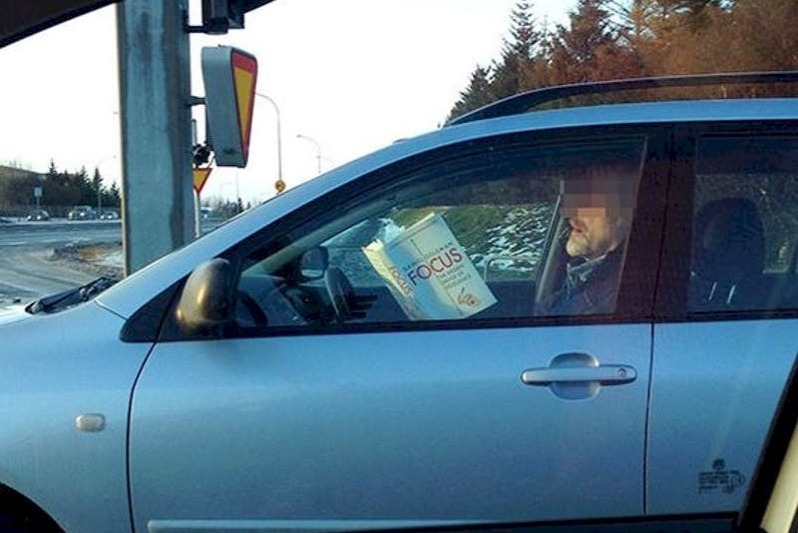 It would take quite the multi-tasking ability to be able to read and digest the information while you’re driving. This is something to behold. 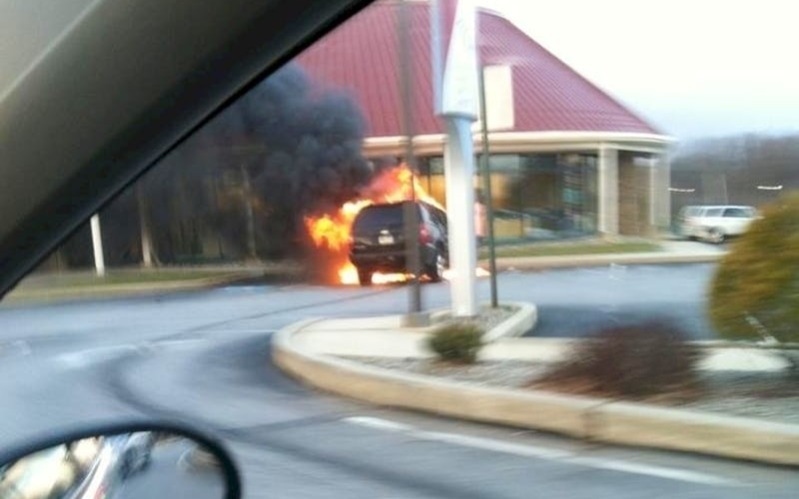 There are only a few things that could’ve happened in that car to make it explode like that. The first thing it could be actually doesn’t have anything to do with the driver and has everything to do with the passenger. It’s basic science that if the passenger plays more than five good songs in a row the car explodes because it’s so lit. 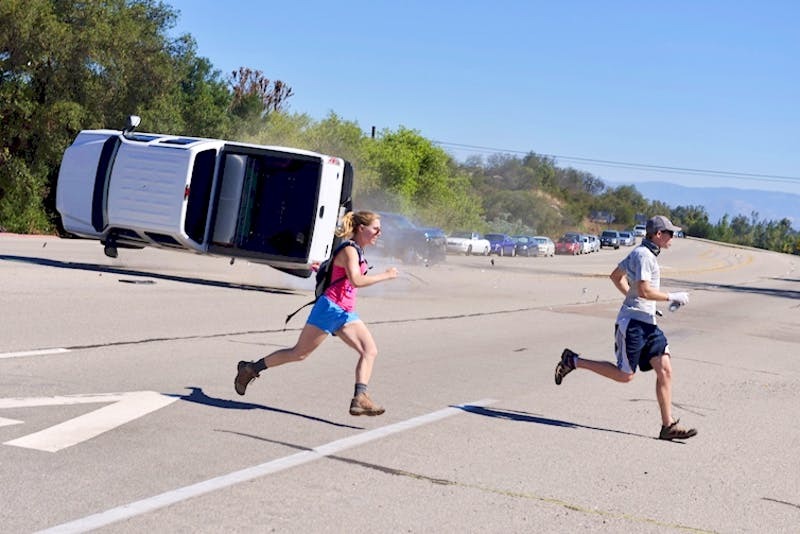 The other thing that could’ve happened is that someone in the vehicle decided to eat Mexican food and the digestion process just started to take place and it didn’t end up going well, for anyone. Yes, I’m well aware that this isn’t technically on the road, but I hope that we can agree that these are the worst kinds of people. 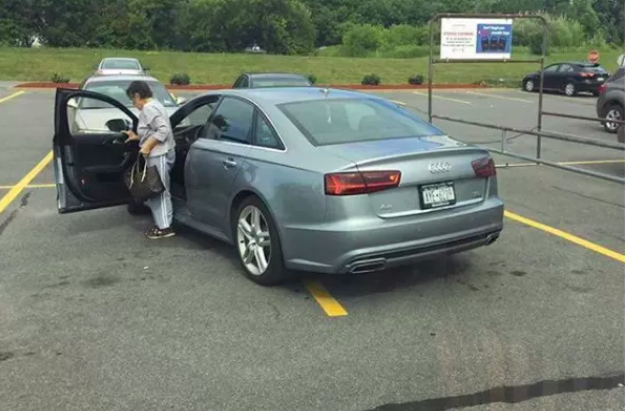 There’s absolutely no need to take up more than one spot in a parking lot. I don’t care if you’re driving an Audi, or a 1999 Toyota Rust, stay inside the yellow. 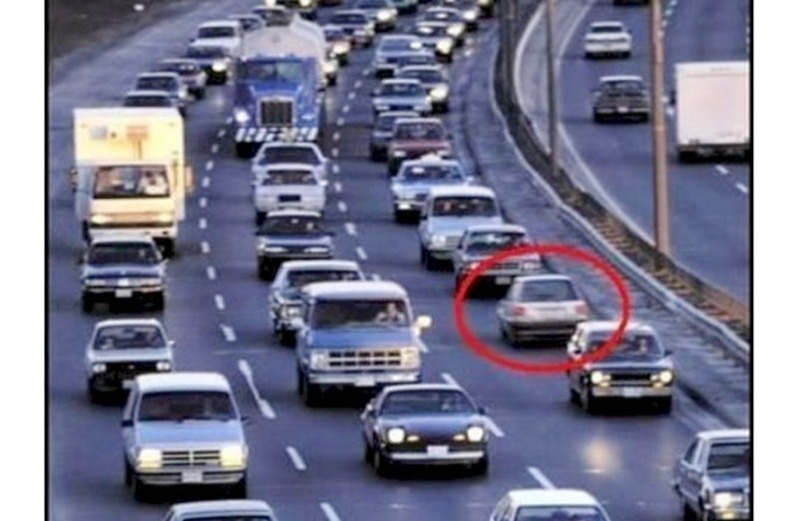 People who feel entitled enough to do this are also the ones who feel like they can merge into whatever lane they want to whenever they want to. I’m not an advocate for keying cars, but this comes pretty darn close to that threshold. Am I the only one who thinks about imminent death every time they drive? 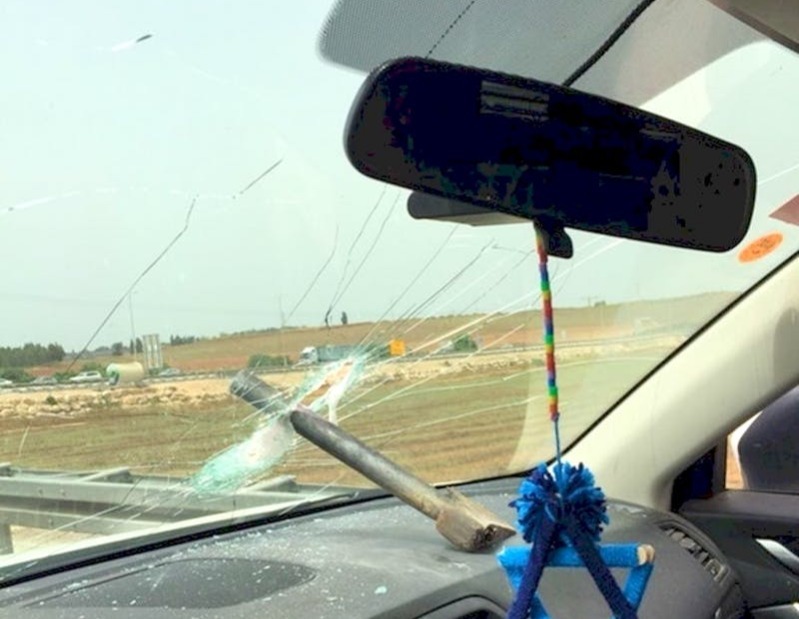 Not to be cynical, but when you’re driving massive slabs of metal inches away from each other going 70 mph you can’t help but think of the consequences of a swerve into the wrong lane. Not only that but now us paranoid drivers have to deal with the possibility of an iron rod coming flying through the windshield. I thought that dodging big bugs so that they don’t smash onto the front of the car was hard enough but this is a whole other level. Have you ever seen a cooler alligator? No seriously, have you? Not only is this gator rocking the most fly sunglasses of all time, but it’s also sitting in the front seat where all the “cool kids” sit. While everyone else you hang around with is flaunting their cute dogs or cats, this guy has an enforcer for a pet. 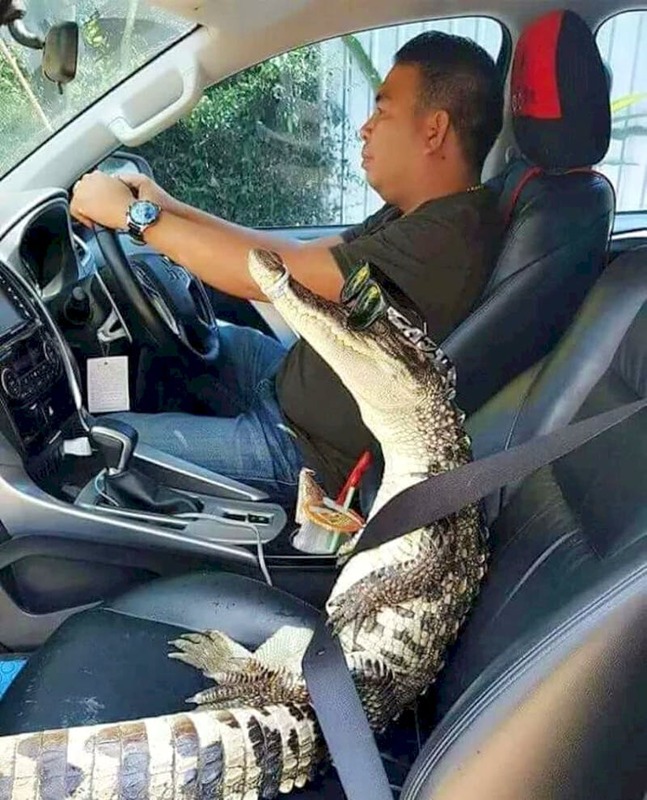 If you think that anyone is going to cut this guy off knowing that he has an alligator in the front seat you’re thoroughly mistaken. This guy’s pet eats other pets as a snack. We all have this friend, let’s be honest. They’re the ones who think that they’re the best driver to ever grace this world when, in fact, everyone is terrified to be a passenger. They’re careless and distracted all the time. They’re more focused on playing a good song than they are staying in the lines. They are more focussed on venting to their friend on the phone than driving the speed limit. 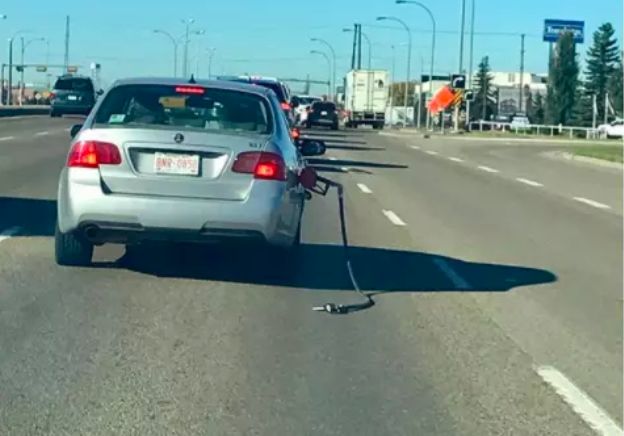 If you haven’t had a friend rip out one of the gas station lines and keep driving as nothing happened, you’re one lucky soul. I can already tell that the driver of this car is the “do-it-all” dad that can make anything work. 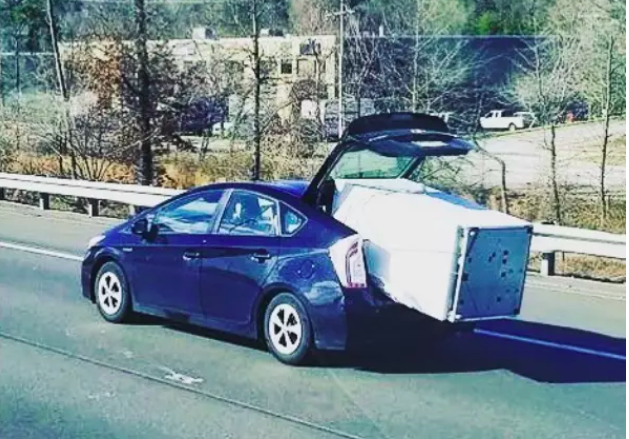 If you tell him that you don’t think a fridge is meant to fit inside a Prius, he’s going to tell you that you couldn’t be more wrong. Am I the only one who gets incredibly grossed out by people’s bare feet? It’s one thing to like your own brand and adore your feet in private, but it’s another thing to openly show off your toes in public. People will stick their barefoot out of the window with no regret or remorse. The cars behind now get an accelerated foot odor directed right into their face. 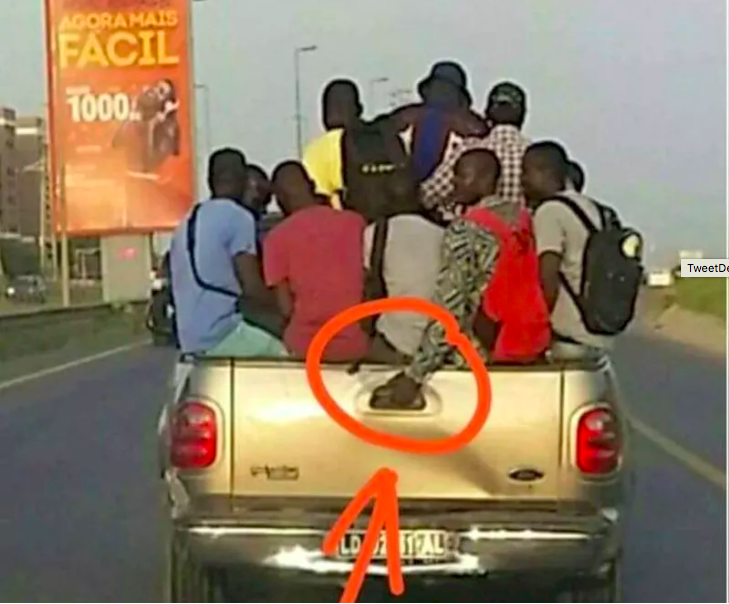 At least this dude decided to keep his shoe on when airing out his feet. That should be the minimum requirement. 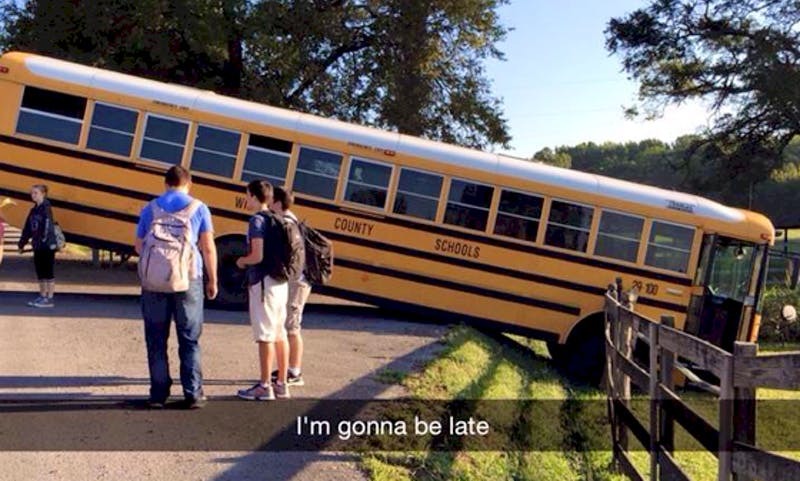 Do you know who’s to blame for the many school buses who fly off the side of the road? Ms. Frizzle from Magic School Bus. She made driving a bus seem like it was something that it clearly isn’t. She was driving that thing so recklessly by swerving in and out of traffic on a dime like she was behind the wheel of a Lamborghini. Real bus drivers see this and want to try it for themselves and end up in the ditch before they even pick up their first kid. It’s an epidemic that we don’t talk about enough. This is what happens when you’re heading to a party that all your friends are already drunk at. They’ve been drinking since ten in the morning, but you had to work so now you’re trying to find any way possible to catch up. You chugged your drink in the shower, and then you tried to put your pants on with one hand while crushing a beer in your other. You head out the door and the drinking doesn’t stop. There’s nothing worse than being the only sober one at a party and these guys know that. You know that friend who always feels the need to show off? Well, this is him halfway through the biggest and most unnecessary mistake of his life. After getting his new pick up truck, he wanted to show his buddies that he has the most wicked burn outs in all the land. Well, one thing led to another and now he’s horizontal flipping through the air like a bad NASCAR crash. Let’s just show off the speakers or something way less dangerous, shall we? 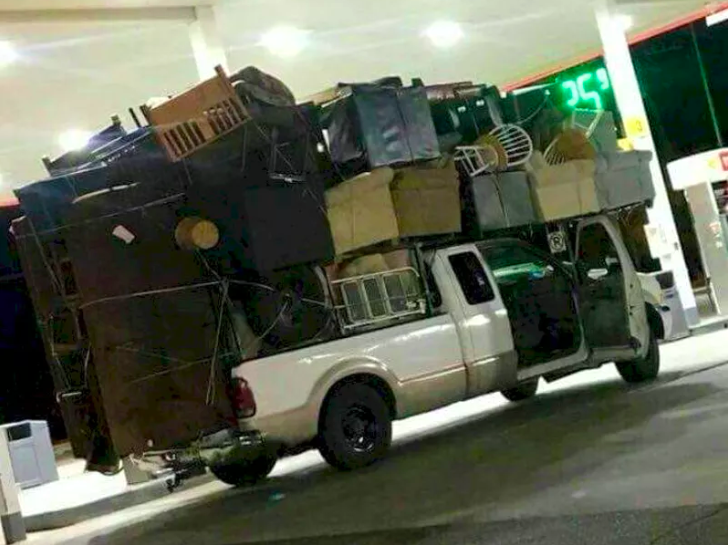 It’s pretty easy to spot the person who refuses to do more than one trip. This person is a combination of the “do-it-all” dad and the show-off friend that we mentioned earlier. They’re the ones who will try to pack an entire house for a move onto one pick up truck. They’re the ones who will find a way to put 16 grocery bags on every part of their bodies no matter how much it hurts. Their arms and legs will be entirely purple by the time they can set down the groceries, but to them, it’s worth not taking another trip. 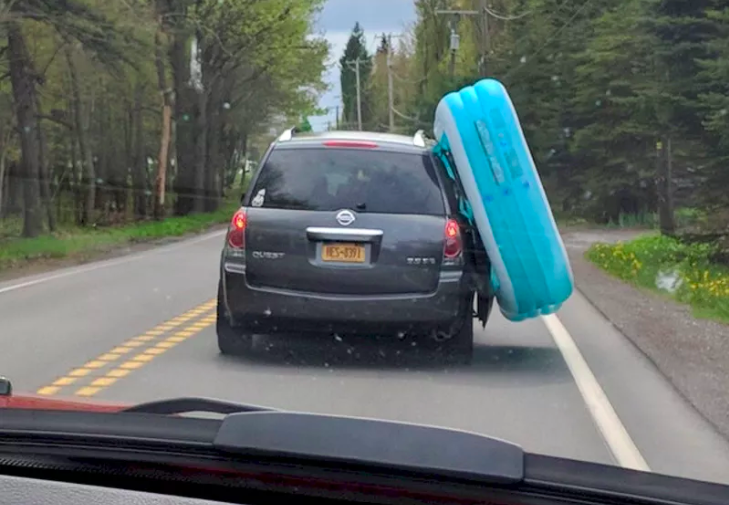 If you can’t transport a blow-up pool with your minivan, what’s the point of even having one? Minivans are the scum of the car industry, let’s be honest. No one grows up wanting a minivan, but sometimes they’re necessary because they carry stuff. Apparently not very well though. Maybe this soccer mom family is playing 3D chess with us and knows that a rainstorm is coming from their right side and they just armored up to combat the rain and the wind? Call me crazy, but that’s the only logical thing I can take from this picture. As I mentioned before, being on the road with perfect drivers is scary enough. Now add the fact that at least 10% of the people you drive by or are on the road with you probably shouldn’t be there. From drunk drivers to blind drivers, to everything in between, the roads are a terrifying place to maneuver around. 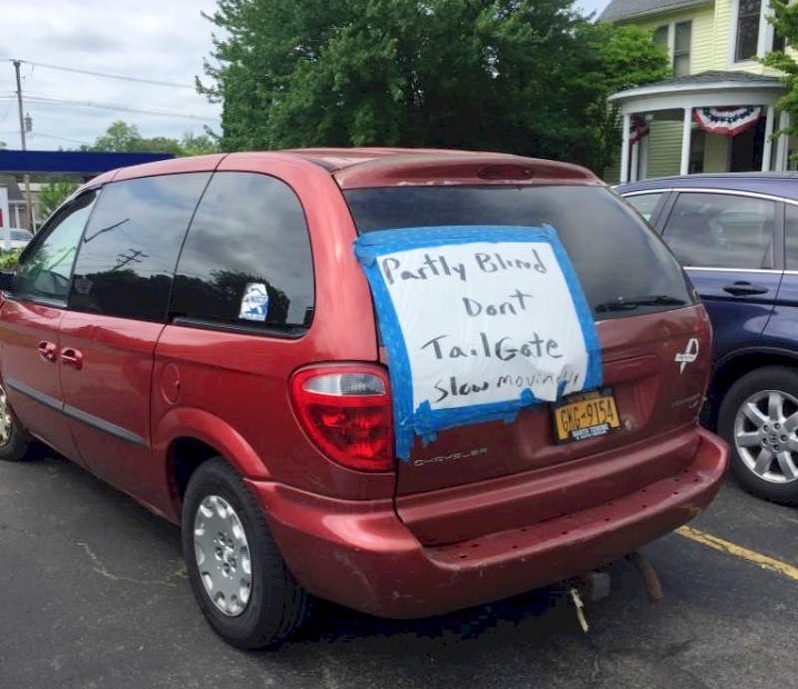 If this person isn’t actually blind, this is a power move. 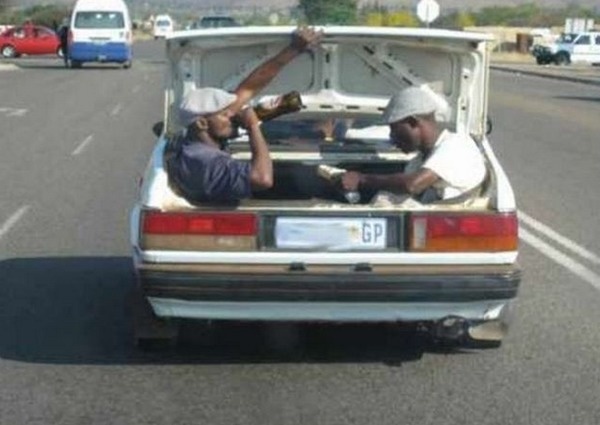 Not only will you not have anyone tailgating you, but you’ll get preferential treatment on the roads. Everyone will be so scared of you that it’ll be like you have a bubble surrounding your every move. This is what it looks like when you’ve just reached the age that you and your friends can start driving and you have the earliest birthday. The first person to get their license turns into an Uber driver for half the school. This is probably a live look into a high school lunch when only one of their buddies actually can drive. The guy in the red backpack wants to watch the world burn because he’s about to open the hatch and the guys are going to fly off the back like water into an open crack. Yes, that rhymed. 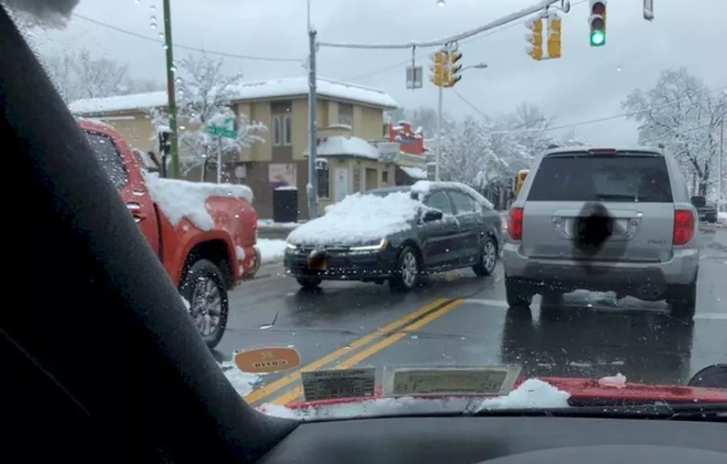 If you live somewhere that doesn’t get a lot of snow, you probably think this person is crazy for driving without being able to see. But, everyone in colder climates understands this struggle very intimately. Walking out into the freezing cold is hard enough, now imagine having to wipe all the snow off your car? Most of us would rather drive without being able to see than spend the extra 20 minutes freezing our butts off by scraping away all the ice and snow. I don’t encourage this behavior, but I can sympathize with it. This driver has decided that they’re sick of the road rules and the traffic. It’s hard to blame them because being in stand-still traffic is a test on every emotional bone in your body. Wouldn’t you like to turn around and head back the other way when you’re bumper to bumper? Yeah, me too. We can all live and learn from this wolf in sheep’s clothing by doing what we want to do without anyone telling us we can’t, even if it’s illegal. This is the Robin Hood of big city drivers. As drivers, we should be trying to avoid distractions by all means necessary. There’s a reason we have hands-free calling in cars now and can verbally tell our phone what it needs to text to the person who messaged you. But, there are just some distractions that technology can’t fix. 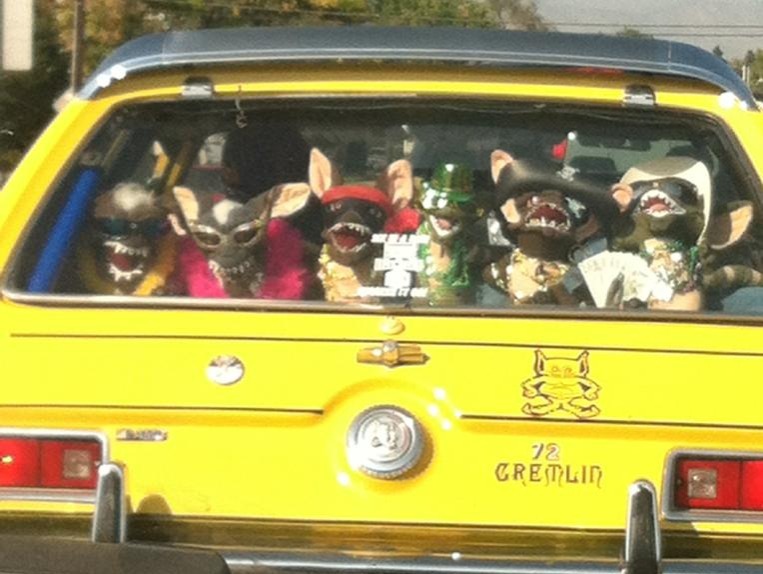 There are some external factors, like when people have a whole family of Gremlins in their back window, that Apple or Microsoft can’t troubleshoot for us. This might be an unpopular opinion, but this person is more distacting to drive behind than someone who has their phone in their hand.